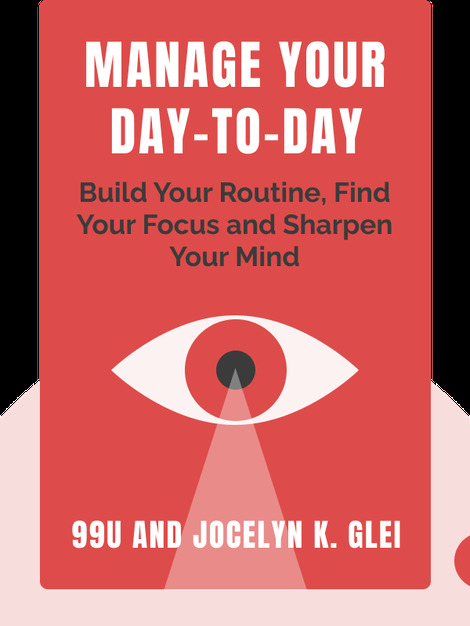 Manage Your Day-To-Day is a collection of ideas, wisdom and tips from well-known creative people. It offers readers valuable insights on how to develop effective work routines, stay focused and unleash their creativity. 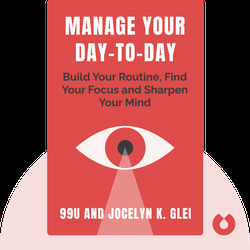 Jocelyn K. Glei is editor-in-chief and director of 99U, an online magazine dedicated to providing people with innovative tips on how to bring their ideas to life. In addition, she was also the editor of the follow-up to this book, Maximize Your Potential.